direct separation from the production system or an upstream turning operation (turning and separating, e.g. in a roll-over molding machine). The mold box is lifted off the pattern using lifting pins or a lifting frame upon prior vibrating. Fig. 1 shows a schematic representation of the lift-off principle based on lifting pins. b) Lifting the core from the core box. The core box is opened mechanically or hydraulically, lifting off the core via lifters contained in the core box. 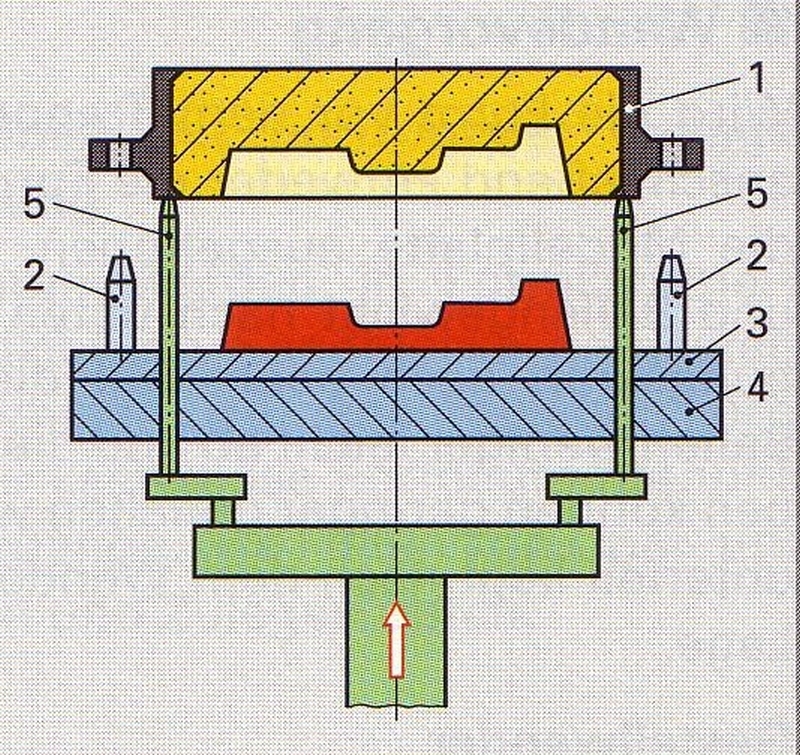 c) Ejection of the casting from the die casting mold by means of stripping plates or ejector pins.